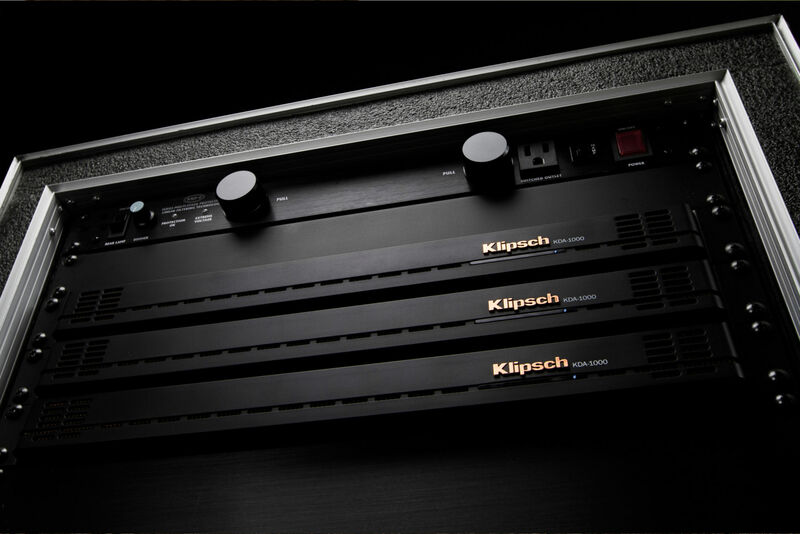 From small residential systems to massive commercial installs, the Klipsch KDA-1000 is designed for maximum install flexibility — offering low impedance and 70V/100V compatibility for distributed line applications. These impedance settings are fully independent from channel to channel — so an installer can run one channel low impedance with another channel 70V/100V for full customization and optimization of their system. 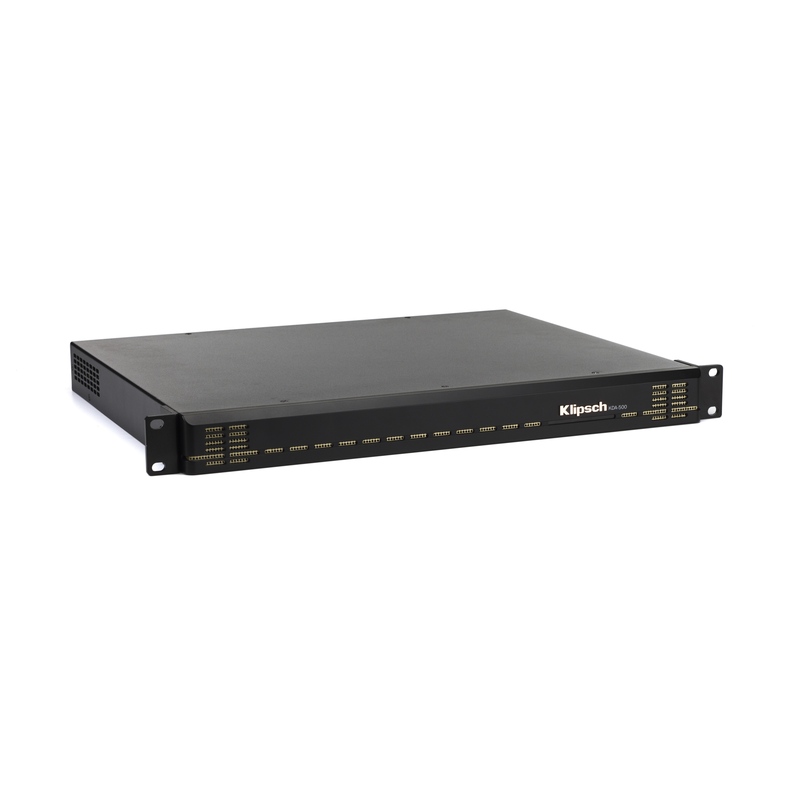 The KDA-1000 boasts fully matrixed 4x4 I/O with fully balanced Phoenix connector inputs and Phoenix speaker outputs capable of connecting up to 12 gauge wire. 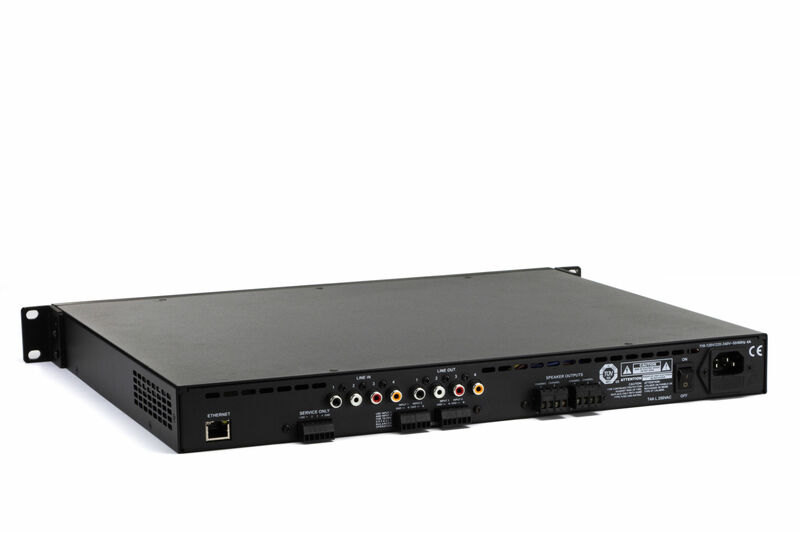 For non-balanced connections, RCA inputs and outputs (throughs) are also built-in, making the KDA-500 one of the most flexible power solutions on the market today. 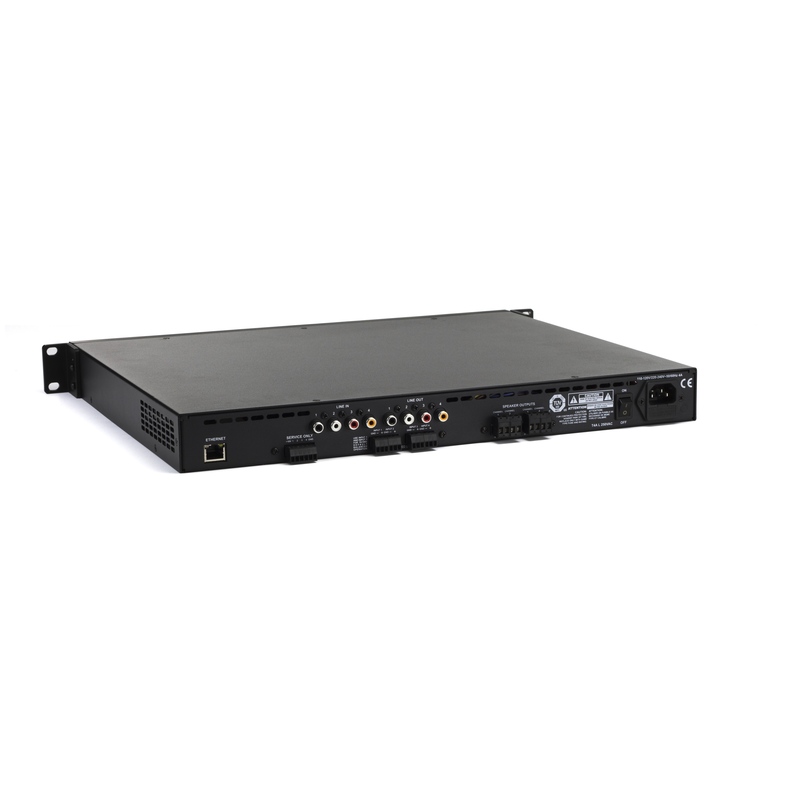 The myriad of I/O, impedance, and acoustic settings are fully matrixed and customizable through the web-based DSP menu — simply plug in a laptop computer to the RJ-45 port on the back panel of the amplifier, enter the assigned IP address into your favorite web browser to pull up the easy-to-use, streamlined menu page. 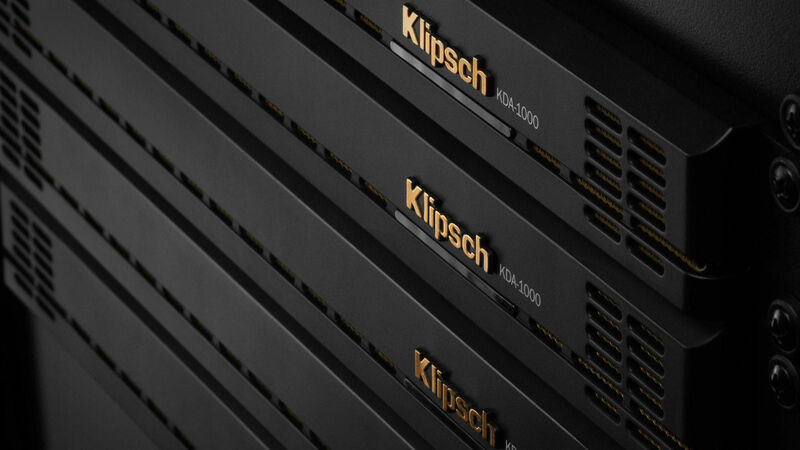 In addition to password protected channel assignments, gain settings, EQ, and limiting, the DSP provides presets for almost every Klipsch speaker on the market — optimizing acoustic performance and power handling for these products with a single click. Accessing the DSP wirelessly with a tablet, smartphone, or computer is also quick and easy when the KDA amplifier is plugged into the network’s wireless router.